Life coaching as an industry earns over $100 billion a year worldwide. In America, it’s the second fastest growth industry after IT. 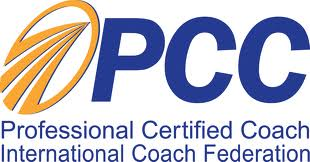 Membership of the Australian branch of the International Coach Federation, the world’s largest professional coach association, has grown from 300 to 750 over the past five years. In the last decade the field of personal and professional coaching has grown substantially as it has proven to be a powerful performance tool. Over the past few years in South Africa, the growth of the coaching industry has been substantial. Ever-increasing numbers of already successful individuals in industries ranging from teaching to property development to stock-broking are enlisting the support of coaches. One of the most significant events in the growth of this industry in South Africa and the rest of the world has been the introduction of Consciousness Coaching®. This style of coaching differs from Life Coaching in that Consciousness Coaching® is build on Professional Coaching according to ICF standards as well as AC (awareness creation) according to CCI/Marc Steinberg. The AC component creates awareness in areas where the normal human consciousness is ‘not aware that it is not aware’ – in other words: it doesn’t exist for a person. Possibilities that lay outside of the ‘box’ are what material breakthroughs are made of. Einstein referred to this observation by saying, “The significant problems we have cannot be solved on the same level of thinking that created them.” Normal coaching or Life coaching empowers the individual on the ‘same level of thinking’, which is effective and, merged with a structured, developed Awareness Creation process, we move into the limitless realm of Consciousness Coaching®. Creative Consciousness International (CCI), the only Consciousness Coaching® academy in the world, has it’s head office in Cape Town with operations happening on a global and local scale. One of CCI’s core product offerings is Executive Training Seminars. These seminars are tailor-made training packages focussing on development in specific areas within each clients business based on the individual training needs of the organisation in question. More and more businesses in South Africa and around the world are investing in their staff and teams. Executive Training has proven to increase productivity, improve team dynamic, enhance time management, accelerate efficiency and cause significantly higher levels of awareness, responsibility, social competence and commitment in both small and large team environments across a myriad of industries. There was a very interesting article and accompanying video yesterday in the Wall Street journal online entitled “Executive Coaching – Worth the Money?“. The video looks at the actual impact of one company’s experience with employing executive coaching services. The Wall Steet video discusses how the owners have benefitted from a series of offsite coaching sessions (4/year) supported by regular ongoing 1-1 phone based support work. It’s a great practical example of how executive coaching is supporting businesses – large and small – from many different industries. This is quite similar to some of the coaching work which I undertake including Shadow Coaching, 1-1 executive coaching, or a team coaching approach which involves all business partners, owners or senior managers. Curious about what executive coaching might do for your managers, or teams? The most recent 2008 Sherpa Executive Coaching survey has found that at least half of executive coaching is currently being used for leadership development purposes. What’s your biggest leadership challenge right now? I’d welcome speaking with you to see how coaching services could support your managers and teams performance, retention and productivity measures. Its a pleasure to witness the acceptance and rise of popularity of EXECUTIVE COACHING in India.An Executive Coach myself,I would always want to tell people the benefits of coaching, an experience which cannot be related to any other….something which has to be experienced to be believed.The West has for long been gaining on account of hiring services of Coaches.It is now that India is waking upto it. Failure rates for senior executives have been pegged at up to 33 percent according to the recent Harvard research. More research shows that executives who are rated high on Interpersonal Effectiveness (Emotional Intelligence) outperform low rated executives by 15 – 20% on yearly revenue targets. In this fast paced highly competitive business environment the value of capitalizing on that kind of edge is obvious. Executive coaching is “the” method to provide enduring results for executives who want to play at the top of their game. The next time that dapper stranger is quietly hanging around your meeting with your boss, don’t panic. He’s not some super boss come to check you out — he’s just your boss’ personal tutor. As India Inc struggles to fight the great talent war, and overnight create an army of top end managers and CEOs to take on the exponential growth in the industry, it’s not surprising that corporate coaches are now popping up all over the place. Increasing exam fever has a stream of executives and companies heading for that time-tested strategy of private tuitions, when coaching classes et al are too slow. After all if every other kind of celebrity needs a personal trainer, stylist, pet counsellor, speech therapist and so on, why should India’s executives be left behind? Mostly, companies are still using coaches to help high performers achieve that critical edge, think strategy, and develop potential. The idea is to cut short the long gestation period that turns a high-performer into a leader of stature. Sometimes, they’re also called in to help an executive overcome a weakness or skill-gap. Outsiders, professional executive coaches with a history of high performance and experience in management and HR, are fast becoming the preferred choice for companies. Like sports teams and school-going kids, an outsider, without any vested interest in the organisation is in a better position to be accepted by the student, and more effective in that he can stay neutral, but at the same time ask the tough questions without ruffling egos or internal feathers. The few executive coaches we have in India have their hands full these days. “Companies want things to happen very fast. Rightly and wrongly,” says RR Nair, an ex Unilever HR director turned executive coach. Multinational companies like P&G, Unilever, and GE and some Indian companies like Aditya Birla Group, Godrej Industries, L&T and Mahindra and Mahindra, among others now have coaches working with some of their high potential executives. It’s not mentoring (where a senior coaches) or counselling (where you seek help for emotional issues) but an outside coach is hired by the company to help realise a high performer’s true potential. “Coaching is needed by high performers. Even the world’s best tennis player has a coach,” says London based Naren Nanda of Enen Consulting, one of the most in-demand executive coaches in India. So what exactly do these Fairy Godfathers do? Wave their wands and turn their students into Cinderellas? Or is it just another of those corporate training fads that sweep through corporations from time to time. Not exactly. ET coaxed the usually reticent coaches for a view from inside the classroom. One primary condition has to be met before the learning process starts, the executive must be willing to learn. “Only when the student is ready to learn, I am willing to teach,” says Pavan Chowdhury, CEO of Yvone, and a CEO coach. Some of the common problems that executives need help with these days are: how to manage time? How to have influence and garner support across organisation? How to motivate self and other team members? People issues are emerging as a key problem area, according to coaches. Many executives need help in managing their emotions, because emotions are like virus and they spread easily across teams and organisations affecting productivity and environment. Executives also need help in tuning their intuitive antenna, especially their ability to understand what’s said and what is left unsaid. MNC executives often need help in dealing with continuously shifting power equations as organisations go through global reorganisations or acquisitions and power centre changes. Coaches begin work like doctors and start with a diagnosis. First, a 360 degree feedback process, lengthy interviews with team members and bosses (often many times), and psychometric tests. “Behaviour under observation” is another technique coaches use, attending meetings, observing their executives at work, all done in a very transparent manner. “I’ve found people around them are very positive because they see the executive making an effort to improve himself, so they give feedback very sincerely,” says Nanda. Once coaches have analysed the executive’s strengths and weaknesses, they zero in on the top 2/3 issues they will work on. Coaches try and delve into a client’s mind and try and find a link between day to day problems and the big themes. They loosely work on a principle of Socratic questioning – but instead of discussing logic or philosophy, the student is questioned on his work style and behaviour. “The first set of questions is about exploring an executive’s strengths. While doing this type of work when were you the best?” says Sachdev. “Executives at that level don’t need skills but change comes from reflection. Who am I? What do I want to be? A lot of personal change comes from being aware and creating feedback loops for your own self,” adds Nanda. Self awareness for the executive is the first step. After that, it’s on to obstacles. “As you discover options where can you get stuck? How to deal with the hindrances when they crop up? Next, the executive is probed on the possible counter measures that can be developed. Coaches say it’s about helping the person identify the solution and helping him develop a framework to find solutions. It’s important that they never prescribe anything, nor do they make the executive dependent on them. They’re just around to guide a journey of self-discovery. Nanda gives his blueprint. “Most people find it easier to talk through the problem than think through the issue themselves. Then we try and connect with their strengths. Making them tap into their strengths and leverage it better. Our work has to focus on what I need to do to make it work,” says Nanda. Executives are encouraged to find their way forward, reflect on their actions and the resulting implications. The Coach then talks to supervisor of the executive to ensure that a proper environment is created for the student to convert his/her attitude changes to behaviour. Sometimes, rarely, this doesn’t work. Chowdhury narrates one such incident. He was brought in the CEO of the company to work with an executive having problems, but when he worked closely with the executive he found out the boss was ill tempered, and foul mouthed. “He spits when he speaks in anger, and that’s very often. My glasses cloud when he comes near me and shouts,” the executive lamented. Chowdhury met the boss and found him impossible to work with and unwilling to change; his advise to the manager was change the boss. “It was a case of patient recommending a healthy person to doctor. But such incidents are exceptions rather than the rule,” he says. The most usual type of problem coaches encounter is the executive’s own ego. In CEO cases, ego is sky-high. And in some cases ego comes dressed as humility, says Chowdhury. But coaches learn to deal with that, Sachdev worked with one particular pesky CEO of an American company who bombarded him with questions; he seemed unable to digest the fact he was being coached by an Indian, and was acting difficult in first few assignments but later became a friend. “The person should use you as a mirror. In course of time, he begins to understand how ego is coming in way,” he says. And different layers of his persona have to be peeled like an onion before you get to his real persona. Peeled or not, it seems as if Indian executives have caught on to the great Indian tradition of private tuitions. Why is it that companies fail at such crucial tasks as retaining valued employees, developing teams that serve the best interests of the organization, and creating an environment in which individual employees can apply their talents toward the overall organizational goals? I would invite you to state what according to you are the top 3 most common / obvious mistakes that companies keep making over and over again in this context. Coach: Perfect Approach. Recruiter:CXO’s. Leader:Corporate Operations.Management Mentor:Mavericks. 1) The more you give the more you get. They stuff up their own pockets sooner than later. Money is like manure. Conifined to one selfish solitary corner it heaps up but it begins to stink! Spread over a field tilled by team members it yields golden harvests. 2) Business is People and the best work for the best. 3) “Money makes a mare go”…not a self respecting professional. He goes on his own before you bat an eye lid. 1)Inability to appreciate talent, ideally managers should follow 7:1 rule, 7 Positive Feedbacks for 1 developmental feedback. Most managers fail to do that. 2)Not providing monetary benefits to the one’s who deserve it. Ideally if you work hard you want to be rewarded. Many a times good work goes unnoticed. 3)Internal Politics, Intenral Politics is the chief cause for high attrition. Ideally companies should try to foster an environment where competition is friendly and not cutthroat. 1) Proper Channel of Communication – There is no proper channel for talented staff to voice out their concerns and queries that needs clarifications. Sometimes, it is the lack of ‘it’ (channels) that most companies fail to have that force a talented work force to leave as they do not feel valued. 2) Management – When you have a management who is more sales focus and target oriented, they tend to forget ‘WHO’ brings back the bacon and this is a mistake that most companies forget, and especially when the Management did not appreciate or reward the staffs/ teams. 3) Sincerity – Little activities or any conversations that takes place within the office environment will play an important part contributing or having a deciding factor in which whether a staff leaves or not. Human is a different race totally from animals. We have emotions and we are sensitive, we know what is sincere and what is not. If a greetings or conversation is always about asking SALES SALES and MORE SALES, we will only feel that the conversation is only for the sake of striking up a conversation without any purpose nor meaning. In my personal opinion, all the above mentioned contributes to the fact that some companies fail to retain their staffs. In fact, my above 3 points is only a small tiny portion among the many that others may have in mind. We cannot always have the most ideal situation and working in the most ideal environment, but what I do know is that we can try to make our work place a better place to work in RATHER than thinking that since others in the same industry has always have HIGH Turnovers and hence, its not surprising to have the same in the current place you worked in. YOU don’t follow the trend, YOU create the trend. Shalini, I think that a large part of retention is communicating with employees and developing a business relationship where you are attuned to dissatisfaction. Higher pay and different responsibilities don’t amount to cause, they are simply the effect of something more insidious that in a lot of instances can be mitigated. That said, a colleague that has a great opportunity elsewhere is a tribute to the development of the organization – and no company has an org chart flat enough to satisfy all of their high-pot’s needs. As for developing teams that serve the best interests of the organization, I’m not sure that you can say that there is one clear answer – different folks do things differently. What you would categorize that way another may not. I don’t think there can be an ideal in this regard. Open, honest communication towards the team objectives could be a helpful strategy of keeping everyone focused and enabled, regardless of the team structure. I would also submit that open, honest communication can help focus employees towards their shared goals as well. A company’s view of people is an unmistakable reflection of its organizational character. If it sees people as selfish, lazy, and unmotivated — that’s the kind of people it will attract. If it believes in the potential of people to do great things, and has competent leadership, its people will rise to the occasion. A great company believes in its people, and that people at all levels of the organization can and should be high performers. Those who fail to live up to those expectations don’t last. A great company refuses to limit their velocity to the speed of the slowest player on the team. Instead, a great company strives first to hire people of character, and the performance tends to take care of itself. People tend to be most creative, effective, and connected to their work when they are challenged without being defeated. People flourish when they are given clear goals, unambigous feedback, and a sense of control. Saying that we are a team is easy. Actually functioning as a team is difficult. Making employees feel important to the team and business takes time. It often starts with how the employer views employees. Are employees working managers or managed workers? Employees as working managers suggests that each person in the business has ideas on how to improve the business. Even those people incapable of understanding much about the business beyond their own jobs may have ideas about how to do their jobs better. Useful suggestions often stay hidden inside employees’ heads when they do not feel they are an important part of the business. Teams are built through carefully integrating new employees with established employees. Managers can improve commitment to team building by rewarding employees for their contributions to team efforts. Rewarding only individual efforts sends a strong signal to employees that the business is a collection of individuals rather than a team. 1. Delegating to the HR Department the task of building a great place to work. The leaders of great companies think about this every day. 2. Having a worldview that employees need to be controlled because they are basically selfish, lazy, and unmotivated. Leaders of great companies believe in the potential of people to do great things, and spend a lot of time recognizing and rewarding employees at all levels of the organization for outstanding performance. 3. Creating incentives that rewards and recognizes individuals rather than teams. I would like to answer your question in two parts. Please refer / read / download the recent whitepaper I have written on Human Capital Management (HCM) which is available on my site http://www.mindsie.com. You can also directly copy papste the following URL on your browser to access the white paper. In this whitepaper, I articulate the answers you are seeking for from an organization’s perspective. 1st Mistake: Organzations do not integrate Enterprise Strategic Planning / Business Planning with Talent Planning. They only pay lip service to people being assets without understanding / addressing how assets should be treated. They talk assets while people are treated as commodities. 2nd Mistake: Organizations let mediocrity permeate willingly. The managers feel threatened by superiror intellect, integrity and prevent good talent from entering the organization. This is a process failure as the leaders begin to believe that their best ideas / concepts cannot be fulfilled and therefore even the good ones get settled / lulled into the mediocrity. The adventurous one leave for another pasture, hoping for a better experience. 3rd Mistake: Pretension. When the above two are pointed out, orgaizations and the people pretend it is not happening to them. They deny it and continue to perpetrate the same mistakes with renewed vigor. The cause being, they see no incentive in being aligened or feeling passionate for a greater cause when status quo is rewarding enough and they have no reasons to worry when challenges are quelled by the act of politics. The remedy: Implement a process where you take out the individualty and make the process accountable. Align the process to the enterprise strategic outcomes. Treat people as people – they need to be recognized from the three dimensions of Professional, Personal and Emotional. The outcome of a successful Human Capital Management Process is a learning organization. That is investment in growth. 1) Basically I believe many leaders fail to create conditions for employees to succeed. There are several reasons for that but we are driven by our “ego” (in many cases unconsciously) seeking to positioning ourselves, gaining social status. This creates a credibility gap and an atmosphere with little room for development. 2) Too many leaders “climbed to high” on the ladder. Stress (read fear) causes their “ego” to take control and they will create disharmony in the organization. There will be no room for development. 3) Many leaders do not allow “bad news” to come and will end up having reports disconnected to reality. When reality finally catches up such leaders practice a “blaming policy” as long as they can, there will be no room for development. It’s a great question. My thought on this problem is as follows. Most of the time people are evaluated at the level of skill. On the other hand Organization has certian business outcome to achieve. Between the employee’s skill and organizational goal lies a black box which is not clear in most of the employee’s mind inclusing mid-management and some top management. In my opinion, one of the solution to fight this problem is to unbundle the black box and make everybody understand that individual’s strength lies not in the skill but something else. Companies fail because their leadership is unable or unwilling to play the role of a coach! The single biggest factor in an employee decision to look for other opportunities is not compensation, but their direct manager. When and where this relationship is strong and the trust high, retention increases exponentially. This trust also impacts other key retention drivers — learning and growth, and career guidance. When employees find a leader who not only understands and values them, but also cares and invests in their learning and personal growth, they don’t need to look for opportunities outside. Shalini, thanks for raising such an important issue. I point raised by you, “Why is it that companies fail at such crucial tasks as retaining valued employees, developing teams that serve the best interests of the organization, and creating an environment in which individual employees can apply their talents toward the overall organizational goals?”…does not happen all the time. Retention strategies differ from industry to industry and from culture to culture. It is also important to understand as whom do you consider the “key person”. “Cost of Retention” is the one factor that actually determines and answers the issue, if the management will retain that “key” employee or it will let him slip. Hence, the companies that have accumulated great wealth and those that are industry leaders do not let their “key employees’ and “strategist” slip in the market. In Indian Context, you will not find “key employees” and strategists of companies like Reliance and ICICI available in the market. The cost of their “key employees” is so high that a mid-size or a small-size company cannot even afford to have those employees in their board. Reliance go by their wealth and ICICI go by their scope of growth. In these companies the margin of error for an employee is too little. Hence, most of the time the so called “key employees” of such organizations are SACKED for non-performance rather than these employees resigning for a “better opportunity”. I think this will give you some insight. 1- The relationship between the company and the employees should be of give and take. If the employees are giving their 100% and the company is realizing this but doing nothing and filling its own pockets then the company is bound to fail and vice versa. 2-Transparency from the company’s side is one of the important factors that motivates an employee to work for that particular company. 3-Money, yeah it matters a lot to any individual. 1. Self hugging: they think that whatever is good for them should be good for the employees too. When those matchings aren’t exact, employees would complain of the lack of efforts, and managers would complain that the employees are not appreciative and asking for too much. 2. Managers often do not know what is best for the organization, until it passes them by. The few companies that are able to do so become extremely successful. 3. When managers think about the best environment, they don’t take into consideration the characteristics of their employees, which is a consequence of being self-hugging. The simple answer to this question? Lack of a sound leadership culture in the organization. It’s been said in the thread repeatedly (and others) that poor leadership contributes to a variety of problems, but the fact is that without competent leaders focusing on the needs of the individuals in the organization, they will fail at your two tasks. Poor leadership inhibits and shuts down genuine communication, destroys trust, and reduces teamwork and cooperation to an empty, dilbertonian effort. One of the by-products of poor leadership is a widespread level of fear — the reason why communication falls apart. Employees won’t be honest with their managers, and in the most dysfunctional situations, they won’t be honest with each other. There are organizations where the information flow “up” is stunted due to pressure and intimidation, something which happens often in many companies. But there are also other organizations where dishonest and manipulative managers heighten the level of distrust and create an environment where little real information is exchanged anywhere, although there may be much communication — these organizations have backdoor discussions, hushed conversations in the halls and breakrooms, and the bcc network rivals the open network. People don’t trust their leaders and they don’t trust each other, so when the management tries to assert a teamwork policy or best place to work initiative… well, you know what happens. So, the things companies do to perpetuate this? 1. Not value a culture of leadership — All leaders in the organization need to create the communicative-trusting-cooperative environment; if not, they need to be gone. The damage they do to that culture is too extensive, even if there are a couple of “good” leaders present. I know one organization that openly justified poor leaders, including one totally lacking ethics, by saying there were other “people” leaders that made up for those deficiencies. Right. 2. Failing to take leadership development seriously – too often, leadership development is NOT to develop leaders, but rather give the appearance of developing leaders… for a variety of reasons. The result are programs and initiatives that just go through the motions. The commitment to develop leaders is really a commitment to develop the organization, and it goes beyond a program and goes to the heart of the organizational culture. The existing leadership at all levels have to be willing to examine their own leadership and embrace (rather than off-load) complete responsibility for developing its leadership culture. Of course, few organizations are willing to do this (if that wasn’t the case, you wouldn’t be asking this question). -“managing” tends to average out things this means compensation levels, policies. This is bad for good people. -even in case of companies willing to discriminate strongly performers and mediocre people there aren’t clear parameters for the discrimination. All in all lack of leadership is the main reason is other things being similar. Good question. You already have many friends in LinkedIN responding to this. I concur with most of the opinions. I will bring out some new perspective that I do not see in the responses you have till now. Talented Resources will outgrow their current roles in no time. Organizations must reckon this as a fact and work to create newer challenges so as to effectively engage the talented resources. Talented Resources will eventually outgrow their current Organizations too. Organizations must reckon this as a fact and plan early to let go such resources and put in a proactive knowledge and skills transfer program before any such exit. Organizations may also innovate on how they can stay connected with such recourses and bring them on board later on when the organizations has grow up to accommodate the talent. 1. Compensation: employees are not paid as per their market value. In appraisals, companies most of the time fail to fairly rise pay of the employees. 2. Growth Factor: vertical movements & other developmental opportunities available within the organization are not equitable to talent & merit, somewhere seniority & other prejudices & bias give a valued employee a way out to the company and join hands with others to get what they are valued for. 3. Rewards & recognition; at times companies fail to recognize the talent of the employees and thereby fail to create a motivation for work. There are other factors as well, however these three mentioned above, per me are the most common factors because of which companies fail to retain valued employees. I believe one needs to take a holistic rather than a static view of this phenomenon…else its easy to get into a rather dehydrating blame game. We need a more inclusive and realistic view of the situation…that senior management too are employees of the structure called companies and therefore are as likely to be impacted by the same organizational dynamics which affect key employees and makes them look outside. So its not a management versus employees problem. If you frame this part of corporate life, the way you have then it suggests employees are powerless and unable to influence this aspect, which in my view is not entirely correct. Now to answer your specific questions. 1. I believe that most companies [managements]start with and work with the right intentions of building great teams that work together seamlessly and produce excellent output. Most managements are also aware that if their best people are not managed well and their aspirations taken care of, or frustrated they may as well lose them. However, here is where the time constraints and organizational constraints kick in. Excellent performers also carry the baggage of exceptional aspirations and demands which given the structure of the organization may not be able to be fulfilled atleast in the timeframes that they want. So they rather leave. 2. Most top performers do very little aspiration management of their selves, leading to a deceptive self image and highly lucrative perception of opportunities outside. Add to this a bad immediate boss and the person will leave. In fact bad bosses are the single most important reason why people leave jobs. Good performers more likely to, given their high self image. 3. A poor HR department, which ties down itself to HR Administration rather than actual management of its talent pool. Weak HR also has very little influence in the board rooms and its somehow becomes the mandate of the CEO and the board to manage key employees. So while the Leadership Team has the responsibility of retaining Key Talent, it’s an enlightened and self empowered knowledgeable HR leadership that can help keep the flock together. My point is that wherever there is a weak HR team and leader, more people would be inclined to leave at the slightest provocation. HR not able to be the smooth bridge between key employees and the Leadership also adds to the problem. In Summary, I think that its important NOT to view this as a company versus employees problem. Its important that people do need change to keep up with their aspirations and ambitions as well as companies need to let them go so new and fresh ideas can be brought in. Its good for the economy and the overall market too. All in all it’s a good problem to have in some cases. If all stakeholders that is managements, employees and HR Heads work on this together with empathy, understanding and clarity, this would not become an epidemic crippling the organisation. – Have an open channel of communication. Create transparency. – Recognise and encourage good performers. Manager HR – Vedic Lifesciences Pvt. Ltd.
1. Lack of proper channel to communicate. – I feel, the companies need to have an easier communication channel. Information about these proper channels should be clearly specified to the staff. If a certain staff or group of staffs is looking after a certain support function or part of a certain support function, that has to be CLEARLY defined. The authorities and scope of responsibilities should be clearly defined and COMMUNICATED to the particular group as well as others. I have seen a lot of times, people do not know their own scope of responsibilities as well as authorities and that creates ambiguity. 2. Transperancy in policies – While, company rules and policies apply to all evenly, they are ambigious most of the times. I have seen specially in the small and middle size companies that EVERY ONE feels that the other is getting certain favors from the top. Also most of the times, appreciation towards good work, development plans of the organization, future expansion plans or changes which might take place in the near future, the reasons for the changes taking place, changes in policies and reasons for the same are not communicated to the staff. A change is introduced and thats that. these things should be penetrated to the bottom of the hierarchy and not just to a certain level of employees. 3. Not only monitory benefits – Companies should of course appreciate good performers and also OK performers. Not with the same awards but different awards for good and Ok performances. I am currently working on a performance system based on teh school grade / marks sheet which clearly tells who’s good at what and competencies are clearly defined. These people would obviously get monitory benefits / awards but more than that some more innovative ways should be thought of depending on motivating factors for each of them. The organisation’s managers being unable to see anyother perspective but their own – not able to stand in someone’s shoes and therefore unable to emphasise and sometimes even acknowledge an issue. Employees being marginalised unless they actively spend time on networking – not what everyone likes to do, but something everyone needs to be encouraged to do, and understand the benefits of doing so, and the impact of not doing so. The valued employees in your organization are also valuable to your competition. You retain some you lose some to competition. Attrition gives an opportunity to the management to set right their recruitment strategies and infuse fresh minds. Your investment in human capital should be based on the principle of leased time- Treat your employees well as long as they are with you. No employer employee relationship in this world is permanent. Everything has a beginning and ending. Talent is permanent and is in born. Talent of an individual always need not be work related. Few talented people when they realise the true potential of their talent will switch their profession. Good leaders start their own. Few change course of their career. Few remain and grow with the organization.Human beings are not machines to give always 100% results day in and day out. Last but not least- If a company is repetedly committing 3 common mistakes, they soon go out of business. There is no need to bother about that organization. I’m trying to separate cause from effect here, so I might say some things differently. I think the primary reason is Insensitivity or Dehumanization or mechanization. Organizations, as they become larger, need to and end up resorting to processes and techniques and systems. Processes that are meant to “support” i.e communication forums, performance management systems etc. become processes that “drive” and when process takes over, the “human touch” if I may use a cliche gradually disappears. As a result, each successive leader’s responsibility to understand his people, to sense their needs gradually diminishes to a low point. Their dependence on the system/process that is supposed to take care of peoples’ needs increases to a point where they then expect the system/process owner to be responsible for sensing and responding to their peoples’ needs. As a result, the HR Department today ends up receiving flack for lack of talent pipelines, employee engagement lead back to HR KRAs etc. In this dehumanized state, focus on people gradually reduces and focus on processes takes over. There is a composite Employee Engagement score, but my supervisor doesn’t know if I am happy. There is a salary survey and your organization is in the top 85 percentile, but there are 2 managers who’re not paid to their expectations, but no one knows! We’re looking for a solution to a particular problem in a plant, we’ve hired consultants to help us. One of our workmen has submitted an interesting solution through the suggestion process. No one knows. And I could keep quoting examples. What makes this process work faster these days is our dependence on technology. All processes that can be tech enabled are quickly adapted to technology and another human interface is eroded. Once upon a time, when you asked for leave, your boss would engage in a dialog with you, and would end up finding out that your mother is sick, or that you’re going to be spending time with a wife who is due to deliver. Today, you logon to the HRIS and log leave, more often than not, a dialog like this never happens. All this erodes the “stickiness” or commitment of an employee to the organization. Repeating another cliche, people are not connected to their designations or roles or walls or infrastructure. They are connected to other people who they work with. The insensitivity that pervades organizations today spreads not just vertically but horizontally as well to the peer group, although less so. There is an additional behaviour that comes along with this and that is the Inertia/Hostage behaviour. Organizations become hostage to their systems and processes. Everything that is logged in the policy framework will be followed. Anything else will lead to a frozen state or a state of waiting till there is enough deliberation leading to a policy/process. I call this the “We don’t do it like that here” or “We’ve never done it like this here” syndrome. This process then speeds up the dehumanizing process and leads to the various symptoms that have been described in other cases. Organizations today are focused on the bottom line as a means to compete in the Global Market place. What they may not realize is that their people provide them a competitive advantage. Instead of aligning their resources to support their goals and objectives they view them as overhead and a major cost driver resulting in lower performance due to high levels of turnover. There are many layers to this onion, but the top three I see are as follows. 1. Beancounter mentality. This overemphasis of cost control has created the obsessive drive to create lean organizations. Many are too lean, where too few people are doing the work. People simply are doing too many jobs, and at some point, they feel used and abused, and leave. 2. Too little recognition. Managers don’t have the time or the skills to properly recognize their employee’s efforts and achievements. Employee’s come to the conclusion that their efforts are not appreciated, and leave. 3. Companies don’t invest in the development of their people. In the effort to squeeze profits, companies are cutting back on training and development. Employee’s come to the conclusion that their growth and development is not important to the company, and leave for one that does. Senior managers often fail to appreciate how important it is for employees to enjoy working – not just for its own sake, but as a way of stimulating creativity and even productivity. They also focus in on extrinsic reward and spend a lot of time looking at reward packages, when a lot of employees just want to be paid a decent salary and shown a bit of appreciation. Finally, and probably the driver of an awful lot of their problem, is that senior managers don’t make the effort to get to know employees, don’t talk to them, and therefore don’t understand them. Failures in the staffing and recruitment process: Typically, a recruiter searches the best candidate possible to fill any given vacant position. In some occasions the promised possibilities of an advantageous career development, competitive training, professional challenge and corporate culture are greatly exaggerated, allowing in consequence to a poor correlation between new employee’s expectations and the workplace’s reality which produce some months after of being hired this employee, a great disappointment and discomfort. In companies which culture, values and policies are very conservative and traditional often they hire talents with aggressive personality’s type A, who are passionate professionals with a creative mindset and with true willingness to innovate. This profound discrepancy can produce countercultural employees who feels that the organization is imposing over them barriers that inhibit their freedom of innovate, create and at last and not least important, their opportunity to succeed. Micromanagement Practices: When an organisation has developed through the years a conservative corporate culture as happens in many companies belonging to the manufacturing industry, the micromanagement style could be then a preferred style of management. Managers who micromanage pay excessive attention to the details; they are obsessive about quality and precision and exert excessive control and pressure over their subordinates. Although these managers can fulfill their business goals, is characteristic that their subordinates suffer progressive disengagement, despondency and demoralization affecting employee’s morale and increasing rate of attrition. One of my past bosses was a very analytical and talented engineer with enormous difficulties to integrate and lead effective teamwork, due to his excessive control of anything that other team-workers and I were doing. He reviewed my work proposals over and over, day after day, only to correct minimum details. At last, his difficulty to delegate effectively, his excessive control to the details and his exaggerated demands of a perfect-quality work overwhelmed unnecessarily the work capacity of the teamwork and contributed decisively to undermine employee morale and to increase the turnover rate. Resistance to change: When transformational projects are developed and Change Management facilitation is dismissed or ignored most of the employees are severely affected for the uncertainty, doubt and fear about that the new business perspective could pose over them. This fear is particularly strong and can be paralyzing in massive processes of reorganization where an outsourcing, downsizing or a corporate merger becomes in real menaces to the stability, permanence and development of many of these workers in this company. In such perspective the company although could ensure its own survival and in the long term reach business agility, indeed is paying a high cost because of the disengagement, discouragement and demoralization of the majority of its employees. Your question assumes that employee retention is seen by management as adding value to their business. The current view is that employees are “interchangeable parts”. It kind of reminds me of a phrase I heard in the Army “get me three warm bodies”. Below a certain level, senior management and the HR departments treat the employees as easily replaceable and to some degree it’s true because in the US we have been loosing jobs faster than we have been creating new jobs at the same level. People will do what they do with success and pleasure. Success is getting enough of what they want and pleasure means that it isn’t harder than they judge necessary. So we as workers see not being retained as a problem but the companies don’t. As soon as it “hurts” too much, they will change their practices and put policies in place that retain people. Part of this paradox lies in the fact that cause and effects for these tasks are separated in both time and space. Policies undertaken to retain valued employees, developing teams that serve an organization’s interests etc would have outcomes after long delays. Does management have the inclination to invest in long range remedies, or are they looking for a ‘quick fix’? Additionally, the policies required to realize the outcomes you mention could depict ‘worse before better’ behavior. In other words, one might actually see a temporary worsening of the situation before a systemic improvement occurs (for instance, policies to retain valued employees could cause some disgruntled souls to quit leading to a temporary manpower crisis). Is the management courageous enough to weather this storm and reap the rewards later? Or would it buckle to these pressures? Adaptive Expectations – Most organizations also show this remarkable property that was introduced by the economist, Herbert Simon. If the organization feels that it is not achieving its goals, then often the goals are lowered! This is something that can often happen on areas with lots of intangibles such as people management. If we lose a key employee, it is often easy for the organization to justify this by saying ‘he was not that good’. While the immediate impact of this can be mitigated, over a long range, this policy starts manifesting itself in cancerous fashion in an organization – good people leaving leads to other relatively good people leaving too. Those who remain, then define the rules of existence on that piece of corporate land – which definitely would not attract good people! First, the organization is so “customer-focused” that its management places very little value on its employees and a lot more on its customers. I have worked for places that valued their PCs more than their people. This should be no surprise: the customers pay, the employees take, right? Second, the organization allows seeds of mistrust to be planted between employees. This is easily done: we only need to be told we are “family.” It seems like every time management tells me the workers are like “family” I immediately find out it’s a dysfunctional family. But divide and conquer, right? Finally, the organization gives each employee responsibilities we don’t know we have until we fail to meet them. More often than not, the thing I’m beat up for not doing is something I could easily have done had I known I was supposed to. Many employers are under the false impression that better pay will make it attractive enough to retain their best people but studies have shown that pay ranks fairly low on the job satisfaction scale. Employees rate things like job clarity, support, advancement opportunity, personal growth and recognition rate higher than monetary compensation. On-going training and development coupled with the opportunities for advancement are big incentives to stick around but they are meaningless if the other aspects of job satisfaction are not there. No one wants to work in an unhappy work environment where they are unsure of their role in the company and not recognized for their efforts. Thank you for your question, Shalini. I would suggest reading the book, What Happy Companies Know. It describes how the new science of happiness can change a company for the better. I think this question is based on a false assumptions. Retaining valued employees, developing teams and creating environments where people can grow are not crucial tasks in business. On the idea of retaining staff, staff turnover allows for the introduction of new ideas in to the organisation, prevents individuals from obtaining too much power, and allows management to maintain control over their underlings through fear (ie anyone no matter how valuable can be fired). Same with teams. If a company develops a team to the point where it makes lots of profit from it, it will become dependant on that team. And this can lead to a case of the tail wagging the dog. And finally, on the idea of creating empowering environments, the purpose of businesses is to make money, not allow people to explore talents which may not be related to the bottom line. Allow people to explore themselves is a waste of time from a business perspective. So my answer is, companies don’t do these things because they are not crucial tasks. It’s a bleak answer, but it’s as simple as that. If you want these things, look elsewhere. Not taking the time or spending the money to train people in True Teaming. The one who asks a fundamental question is who has the real curiosity for truth and will eventually have the has the real answer. This is the beauty of fundamental question “Why…..” and similarly of the fundamental answer “Because…..” (Well my “Because..” may not be whole truth and is limited to my point of view but someone else “Because..” may be ). You can have all kind of policies, processes, guidelines and rules but if you don’t have honest people there will more manipulation than implementation to artificially satisfy the goals which keep the distorted system happy in its current state, which is why we fail. In most management theories this simple concept is forgotten. So, to me the fundamental answer is “Because……We are dishonest, both to ourselves and to others”. Honesty to others is what correctly identifies the deserving person when implementing the policy of recognition. It is what makes you give credit for others efforts and contributions on success & it is also what makes you accept your mistakes and taking collective responsibility instead of doing blame game on failures. It is what makes you stand for the right cause and against the ill cause. Honesty to yourself is what tells you, when you are biased, either accepting some wrong point of view or criticizing some right point of view. It is what tells you that you don’t really understand and appreciate the circumstances others work in. It is what tells you that you also need to improve and are not always right. It is what tells you that when you talk of clearly communicating the goals you also have to let others clearly communicate the obstacles to have a good strategy for achieving the goals. What makes you dishonest may be insecurity, greed, fear, ego, or simply forced circumstances, but the more it impacts others, the more you are guilty of making your own individual growth higher priority than the cause of collective growth and it is what makes the companies fail in most crucial tasks. 3. Bad product releases and they can’t make a sell due to product bugs and their are scared their reputations will take a hit – so they leave. 1. From my experience, companies typically don’t reward those areas such as talent management (being sincerely committed to mentoring and improving the skills of your staff). 2. There may be lip service to communicating across the organization effectively, but it is a low priority for most companies. Effective internal communication to employees who in turn understand their role in contributing to company goals is essential to successful businesses. 3. Not rewarding great performers with other incentives beyond salary. HR teams are not yet creative in their offerings / assistance in helping managers reward staff. Let’s put the “H” back into HR! There are many ways an employee can be acknowledge for great work. A total preoccupation with production… Customer’s loyalty have NOTHING to do with how much you can produce. Find out what they REALLY want and focus on that instead! Their reliance on systems to drive sales rather than relationships! The main selling point in any service industry is SERVICE! True service is unique to the customer needing it. Their inability to make work FUN and CHALLENGING at the same time. Your workers want satisfaction and you won’t keep them if they aren’t having any fun meeting the needs of your clients! Shalini, going by the passion in the answers and the number of them, your question definitely has touched many of us. The top common drawbacks in my view are as follows. There obviously is strong positive correlation between the points I mention which I have tried to list in decreasing order of impact. It will be great if you could send the conclusions of your reaseach to us, possibly by replying to this Question. Thanks for this very pertinent question. Planning and Strategies Consultant; speaker, trainer, author. 1) I think many companies have become so used to the….”there are always others we can hire” mentality when the Baby Boomer generation at it’s size of 78 million or so was the main group in the employee mill, they don’t see the chasm that is coming up as all the Boomers enter retirement. 2) They fail to see the true ‘value’ of employees, continuing to just see them as a ‘business expense’ and working to keep that ‘expense’ as low as possible, letting long-time, loyal, intelligent employees leave…or firing them…in order to bring in fresh, cheaper employees who have to start the process of learning and contributing from scratch. 3) Teams are assigned based on any number of arbitrary criteria, instead of through analysis of potential members to be successful and work together cohesively. this question bothers every organization now a days. More than companies and their leaders, it is the employee largely responsible for the turnover be it in public or private sector organizations. I don’t know many HR professionals may not agree with me. But this is how I feel. SIMPLE – they either don’t understand the Promises the employees want so they aren’t able to keep them or they simply don’t care about these Promises and break them all the time. We are experts in Loyalty – Customers and Employees and see this all the time. All employees come into an organization with a set of Promises that they “believe” the organization is making them, such as money, office space, quality of work environment, challenging work, etc. Management isn’t clued in enough to understand what these are and therefore they don’t take time to understand them. At the end of the day, the employee feels like the company has not “lived up to their Promises” and decides to defect and seek other employment. This may or may not be the direct disregard from the employer but it certainly appears that way to the employee. Without the proper understanding of what Promises are being made and implied by BOTH employees and employers, there is no chance to build Trust between them and in the absence of Trust you have defection. For example, you decide you aren’t going to keep your Promises to your spouse for a while – do you think she will Trust you more or less? I know, tough question. Work isn’t any different. It is due to the hypocritical and self-contradicting nature of an organization’s values and vision. In the circle of org values -> employee behavior -> org behavior -> org vision -> org values there is always a bit of friction that impedes the evolutionary process. I once had a manager who always found me guilty for any dissatisfaction I had to express. Finally, when I quit it was easy enough for him to say – “you always were in two minds about staying in this company”, which goes to prove the underdeveloped nature of a leader’s psyche. 1. Accountability – A leader is accountable for the culture of his team. He is responsible for guarding and nurturing the behavior of his subordinates and how they relate to each other. 2. Appreciation – A leader puts his attention on the great achievements of his team and is quick to acknowledge and take responsibility when things go wrong. He serves to inspire. 3. Integrity – A leader acts for the collective good. There are no favorites, but only team members who have sniffed the right ways of growing in the organization. If you negate the these three factors you will know where most go wrong. Team Leader Network at BinckBank N.V. It all comes down to proper use of ears. If the next upper layer management does not care/want/is able to listen, they create an environment where people do not care for the product/colleagues/organization. The effect of people management is underestimated – it will create an environment in which employees will grow – thus the overall result grows. They need to explain the why’s and the how’s and listen – and show that they listen. I would recast this question as: Why is it that companies fail …..retaining SOME valued employees….etc. The reason I changed it is that often, SOME valued employees are very happy and productive where they are. Those who aren’t, complain, and/or exit. Their claim is that they are serving crucial tasks and that they served the best interests of the org. Maybe. Maybe not. Just because they say they are, means little to the organization itself. As for why those employees left, or those teams don’t function, it can be a wide variety of reasons. Recognition for efforts and reward for same are important. Support, both in terms of supervisory, time, or financial resources are key as well. Realizing they are at the end of their frustration or that the project/team/task they are on is a dead end, AND they have alternatives outside the org, the so called ‘valued employees’ move on. I don’t know if it’s much as a “mistake” as it is a natural lowering of priorities over time, or a distraction that has more of a short term impact. There is of course pure management evil that chases out the good and the bad, though not the desperate. I am based in India but I coach worldwide. The most common mediums in long distance coaching are Voice over Internet Protocol(Skype)technology,telephone calls,instant messenger,e-mails and conference calls.